Diamond specializes in offering unique and even customized ID badge accessories. If you have a Badge or an Access Card then you need a method to display or keep up with it. 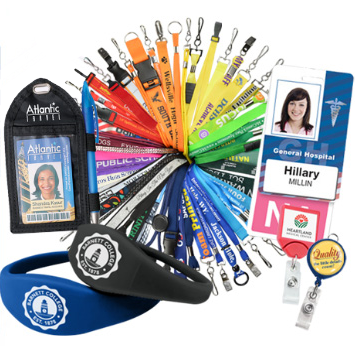 Badge holders, lanyards, clips, badge reels, arm bands, pouches…you name it, we have it. We can even customize most item to allow for visual appeal and even promote you company or event. We offer competitive pricing and in-house design services to assist. Need a sample – no problem just give our experts a call and we can get you what you need. We are here to make it simple and budget friendly. See all the accessories & options available to you.